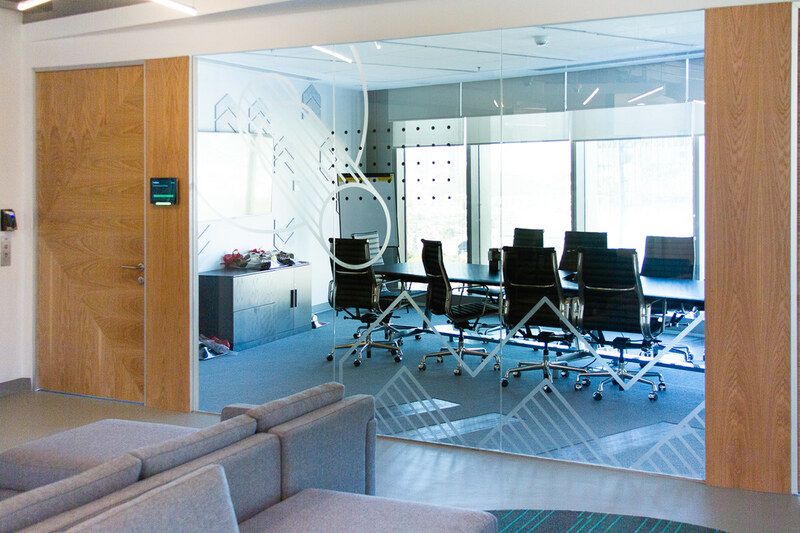 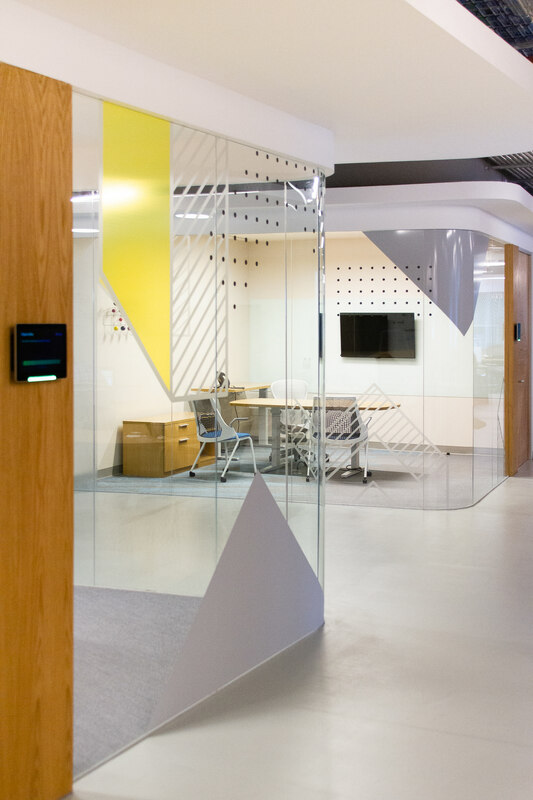 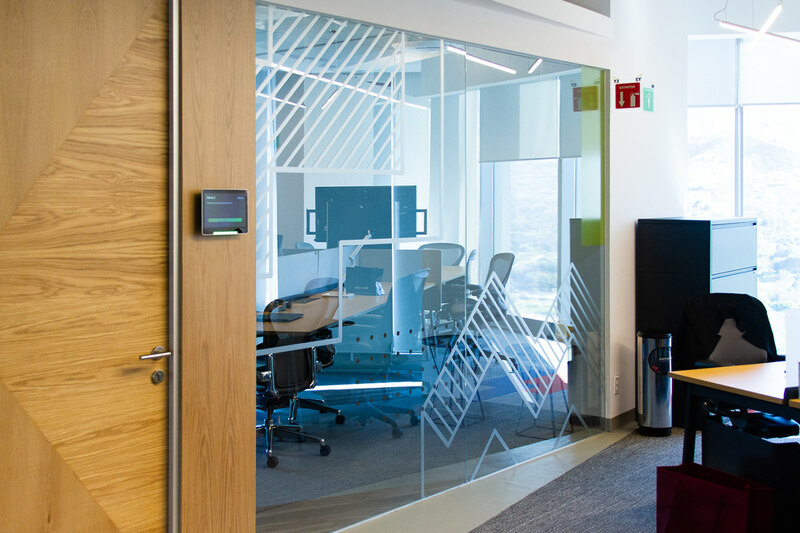 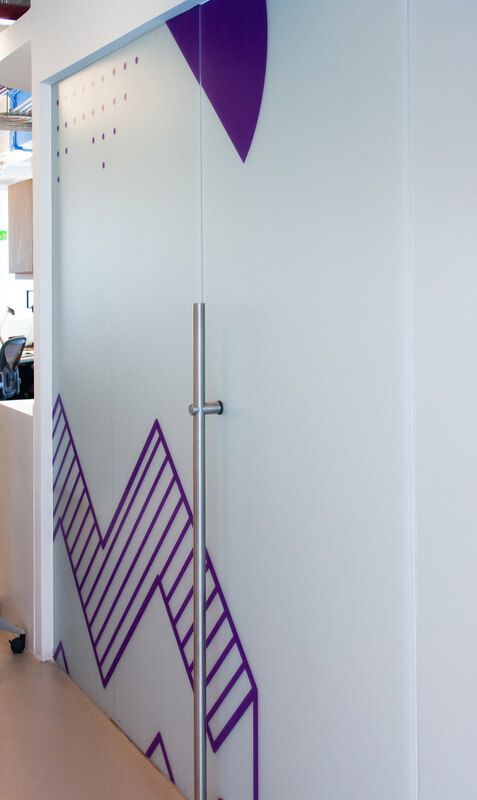 This international accounting firm tasked us with the creation of signage and wall and glazing graphics for their Monterrey, Mexico, office. 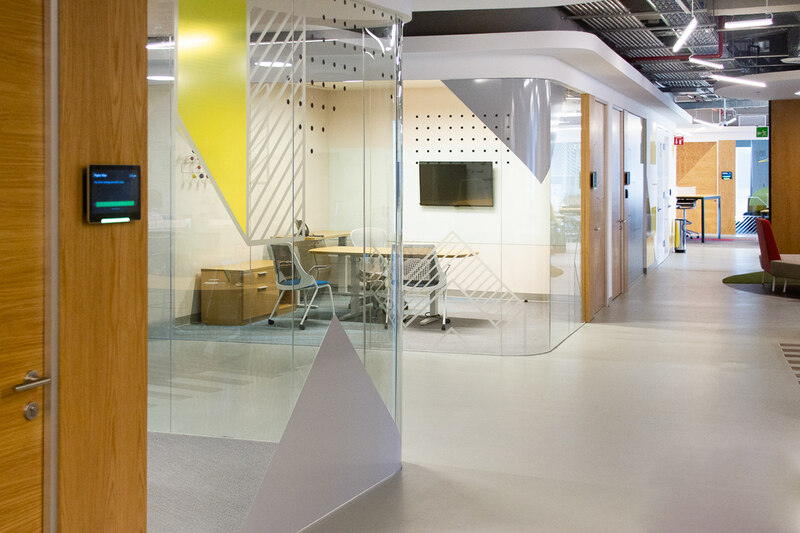 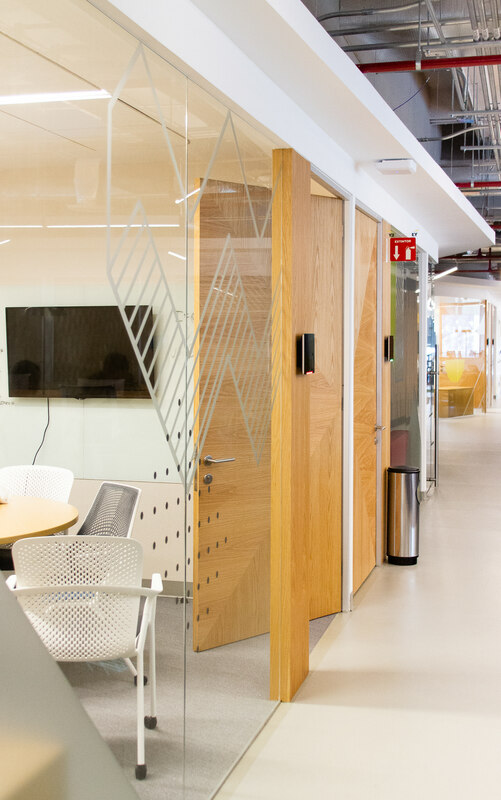 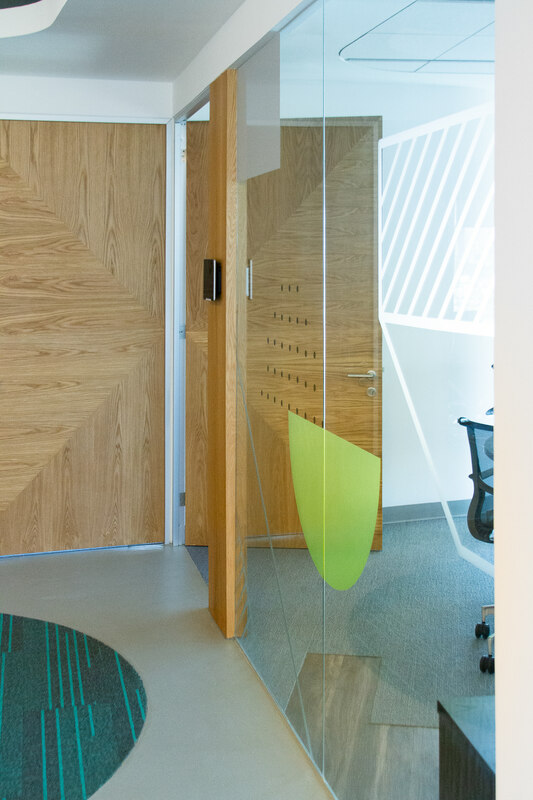 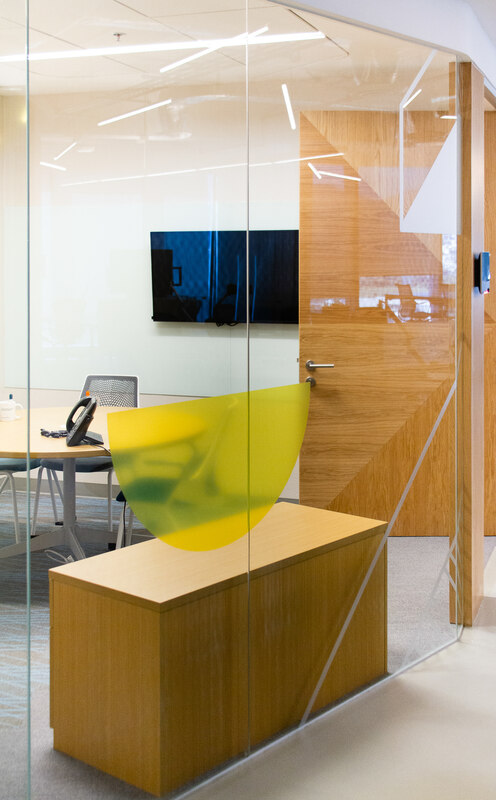 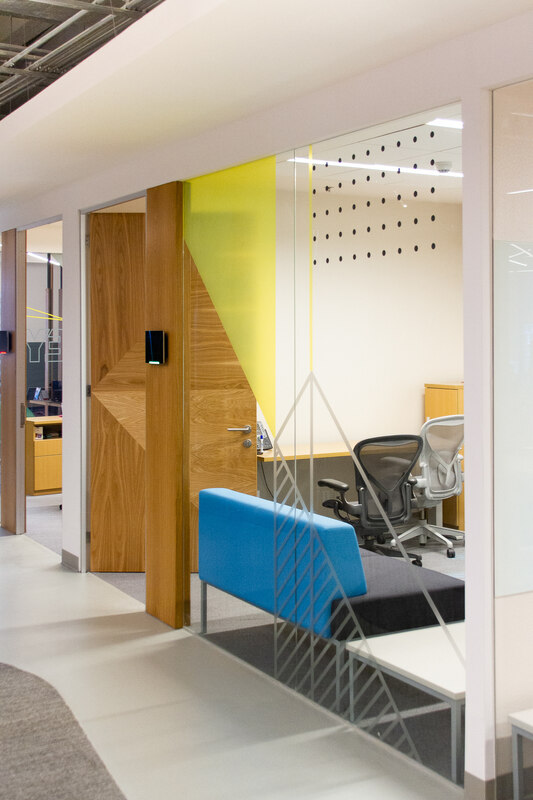 The office, designed by Mexican architecture firm Space Arquitectura, features ample lighting, incorporates extensive use of warm materials, and uses soft curved glass on corner transitions, all of which help make the space friendlier and more organic. 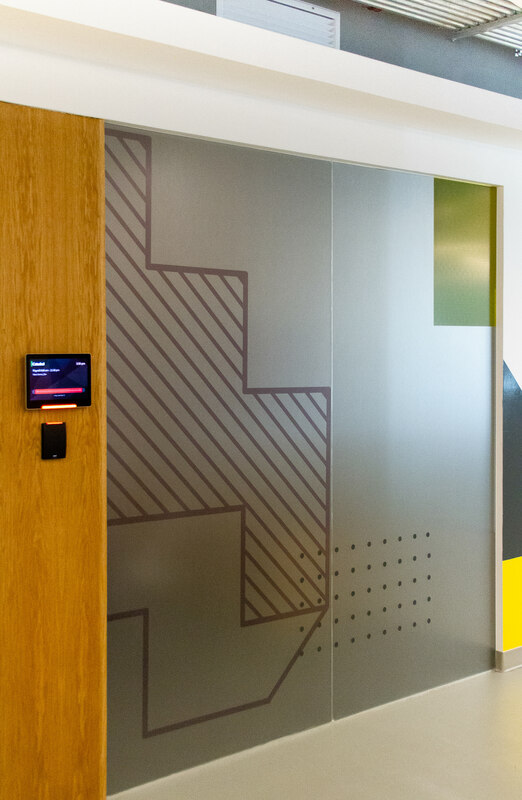 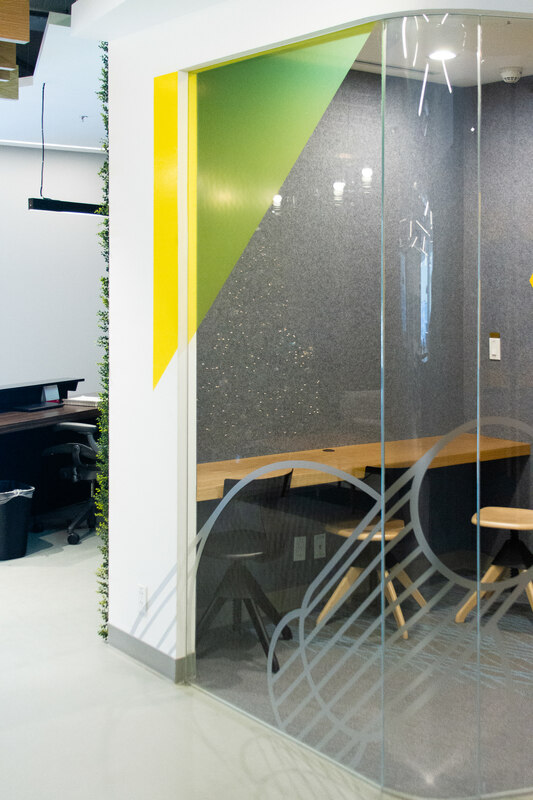 To enhance this feeling, while taking into account the nature of the client’s buisness, we designed graphics that use cross hatching, dot patterns, and color blocking to generate an innovative design language that does not overpower the architecture. 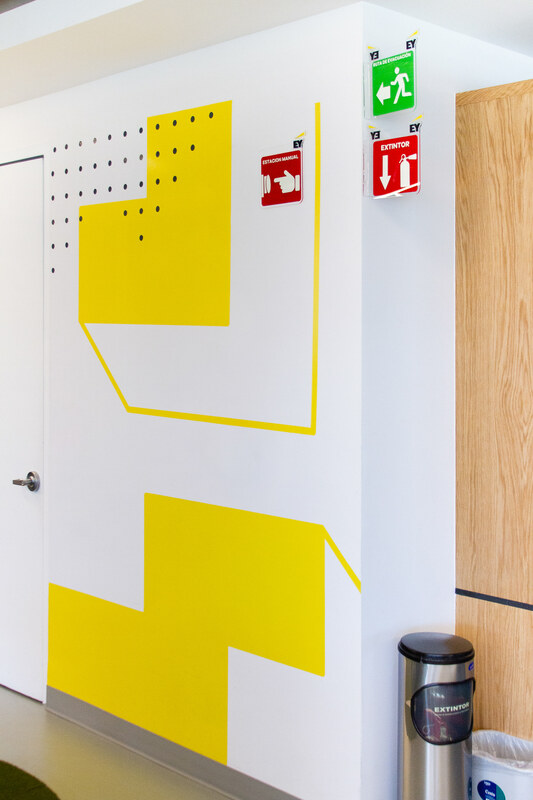 This international accounting firm tasked us with the creation of signage and wall and glazing graphics for their Monterrey, Mexico, office. 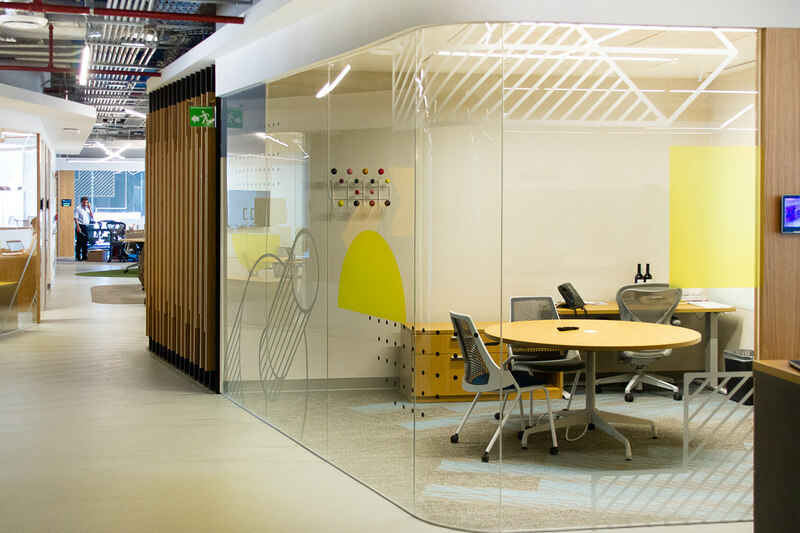 The office, designed by Mexican architecture firm Space Arquitectura, features ample lighting, incorporates extensive use of warm materials, and uses soft curved glass on corner transitions, all of which help make the space friendlier and more organic. 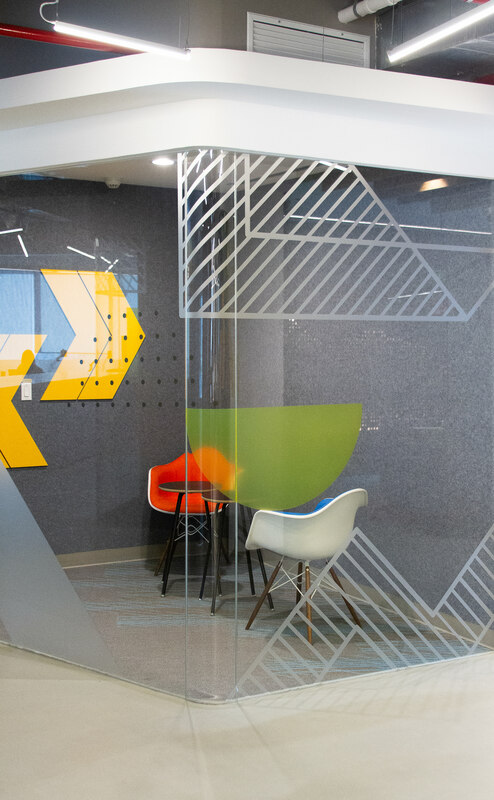 To enhance this feeling, while taking into account the nature of the client’s buisness, we designed graphics that use cross hatching, dot patterns, and color blocking to generate an innovative design language that does not overpower the architecture.